Shirts require ironing,not non ironing as advertised. 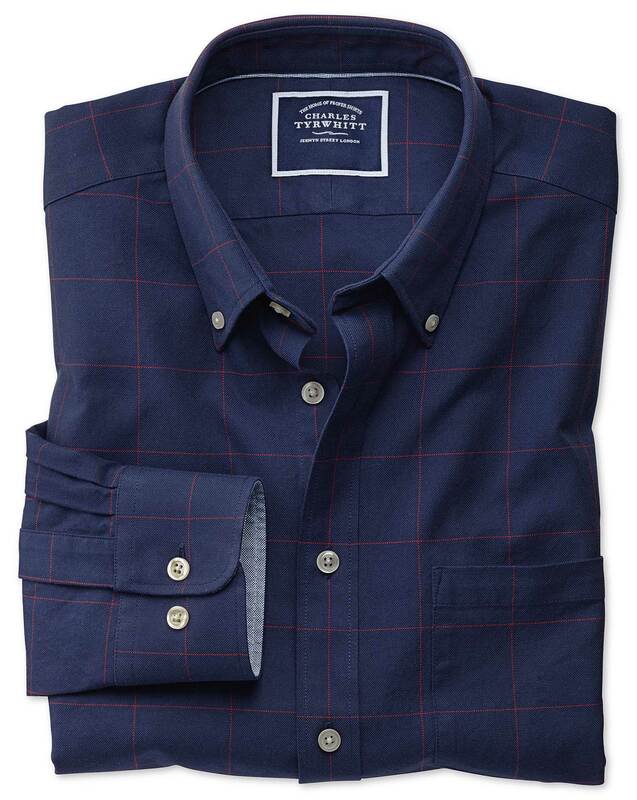 Response from Charles Tyrwhitt: I'm afraid there appears to have been some confusion here, as none of the shirts you purchased are part of our non-iron range. All shirts which are, have the words 'non-iron' in the product title - for example, 'Classic fit non-iron twill dark grey shirt'. If you wish, you are welcome to return these shirts to us and request replacements from the non-iron range. To ensure a slightly better fit in the body of the shirts (and assuming the collar size/sleeve length is acceptable in a large) we would recommend trying the Extra Slim Fit. Otherwise, slipping down to a medium would ensure around 2" or so is taken off the chest/waist of the shirts. Really like the colours of this shirt, really smart and great fit. A darker shade of blue than I was expecting - but a nice shirt nonetheless.